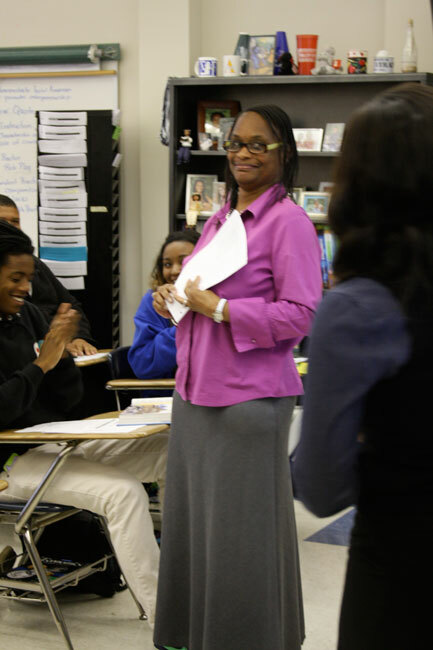 Making government, economics and world history relevant to high school students has always been a challenge for social studies teachers, but for Vanessa Reed of Meridian High School, it takes being both an educator and, sometimes, a mom. 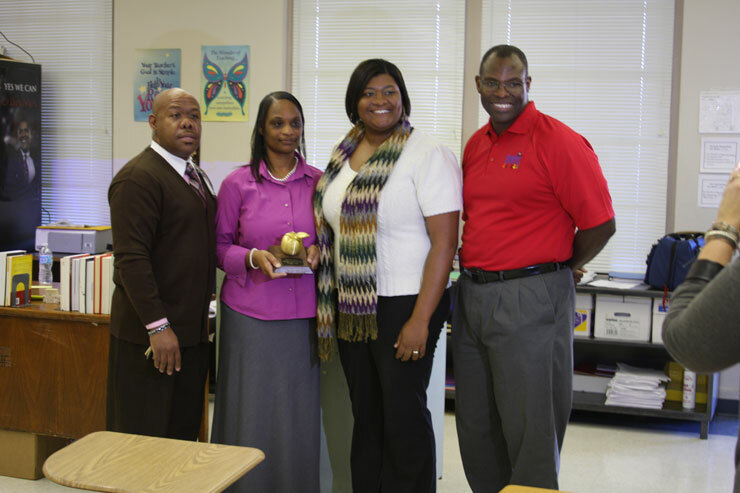 The 26-year veteran teacher is the October recipient of the Golden Apple Award, which seeks to call attention to the best educators in the area. 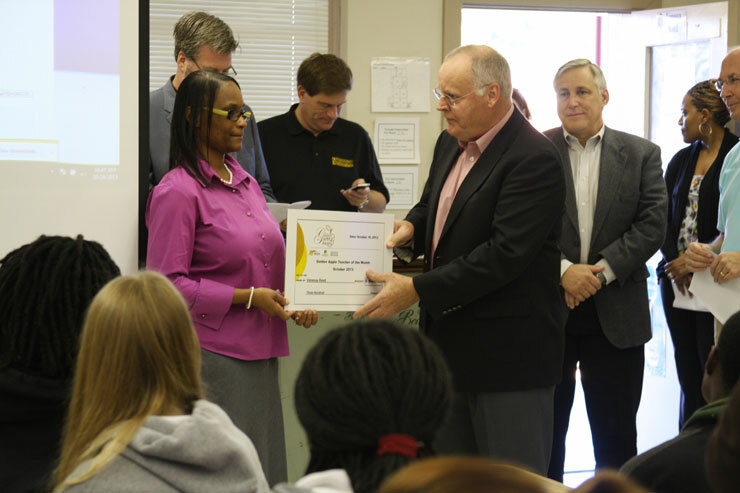 Reed was surprised on Thursday to see a crowd of people invade her classroom to tell her that she won the award. 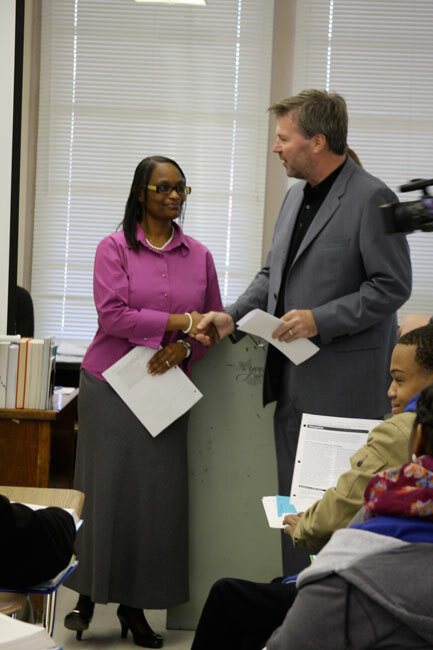 During the presentation of the Golden Apple Award, Reed received a Golden Apple trophy, a $300 check, a voucher for $1,000 in school supplies and she will automatically be in the running for teacher of the year, which will be announced in May. 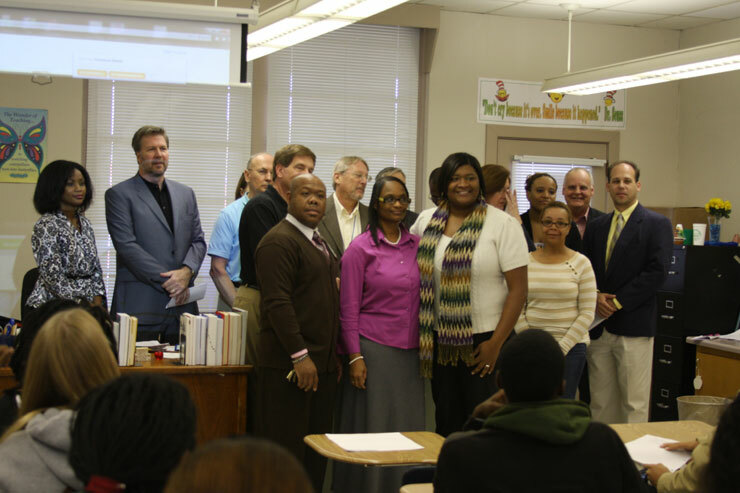 MHS principal Victor Hubbard said Reed is a great example of what good teachers can do for their students. 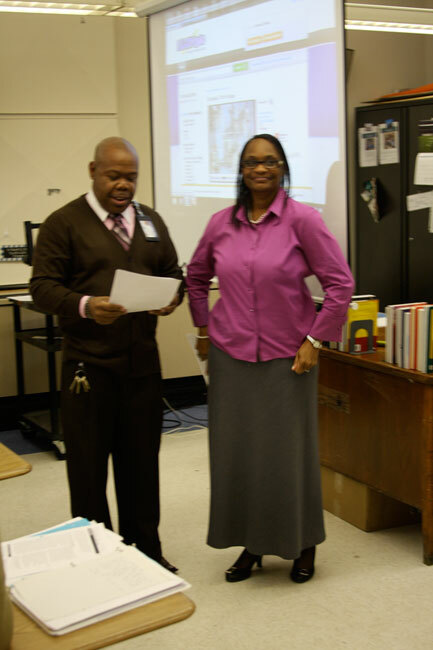 "Students understand when teachers really care about them, and Mrs. Reed is more than a teacher to many of our students. She's a mother figure," Hubbard said. 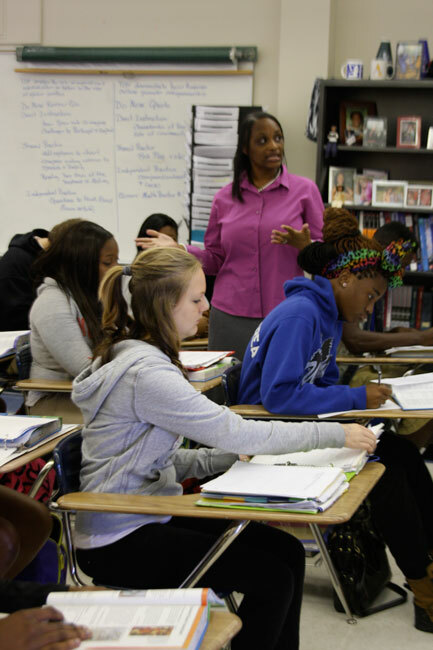 "When you have that relationship with students, it goes toward respect. Her students really respect her." Hubbard said Reed does not have discipline problems in her classroom. "We haven't had a discipline referral from her and it's because she builds relationships with her students," Hubbard said. 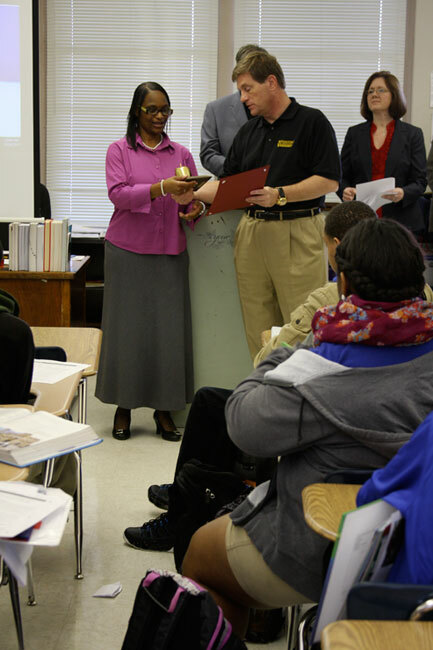 "She serves as a mentor for many of our first-year teachers. 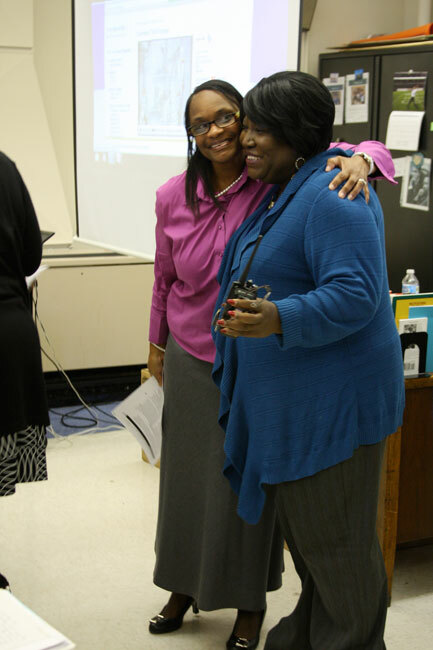 She serves as a great leadership figure for our teachers here. 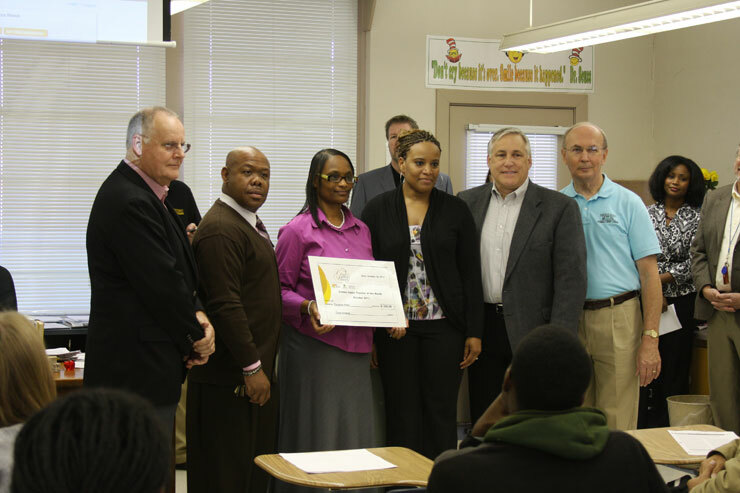 She is a leader not only here in our school but in our community." Asked about her success in keeping out discipline problems, Reed said it's a fairly simple formula and it's one that she learned from her parents. "There is only one adult. You respect me; I'll respect you. I'll treat you like you're my child and you treat me like I'm your mother," Reed said. "I make sure they know I'm looking after their best interests every day." 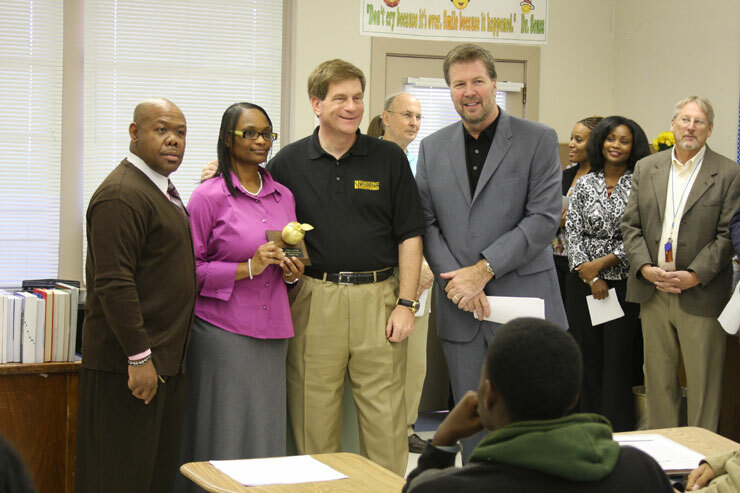 Reed said she was shocked to earn the Golden Apple Award.